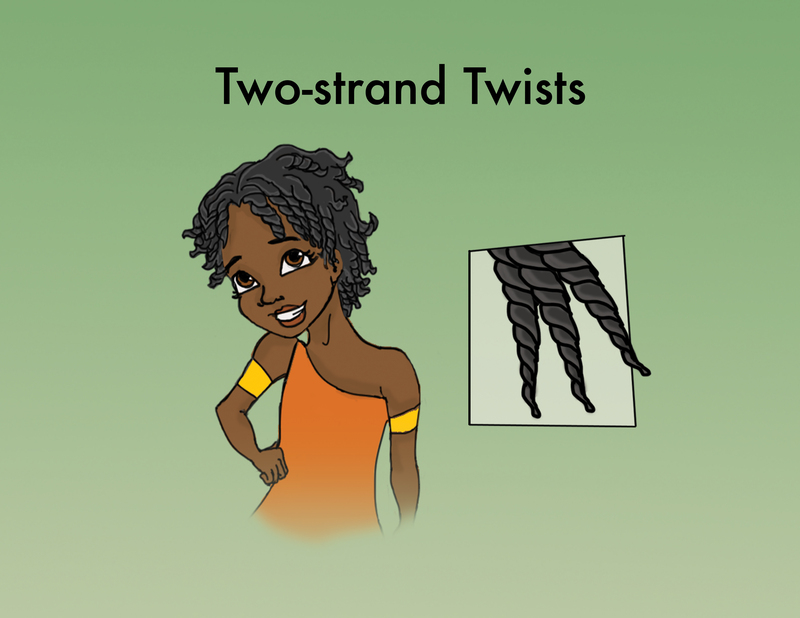 Two-strand twists are one of the basic styling techniques for natural hair. They are similar to braids, only you intertwine two strands of hair instead of three. For best results, start with damp hair that has been recently shampooed and conditioned and towel-dried. Spritz hair with water using a spray bottle. Use your fingers or a tail comb to divide hair into about 6 to 9 sections, depending on the thickness of the hair. Separate the sections using butterfly clips or snag-free ponytail holders. Starting at the back of the head, loosen one section of hair (one on either edge of the nape is usually best). If the section feels dry, spritz it with some water. Apply your favourite water-based moisturizer to the section, paying extra attention to the ends of the hair. Use your fingers/wide-toothed comb/detangling brush to detangle the section of hair. Apply your favourite twisting cream or gel to the section to the moisturized, detangled section. Separate a piece of the section (starting from the edge of the nape makes it easier), keeping in mind that the bigger the piece the bigger the size of your twist, and clip the rest of the section to the side. Split the subsection into two equal strands, pinching one strand in your right hand and pinching the other strand in your left hand. Twist the two strands together, overlapping the left strand over the right strand, left strand over the right strand, and continue overlapping the left strand over the right strand, down to the end of the twist. Apply some twisting gel or cream to the ends to keep the twist in place. Unclip the remainder of the section, and repeat Steps 9-12 until the section is completely twisted. Move on to the next section of hair, and repeat Steps 5-12 until all of the sections are twisted. To keep your two-strand twists neat, wear a satin bonnet or use a satin/silk pillowcase when you go to sleep.